Check your TNB account details through myTNB self service portal. 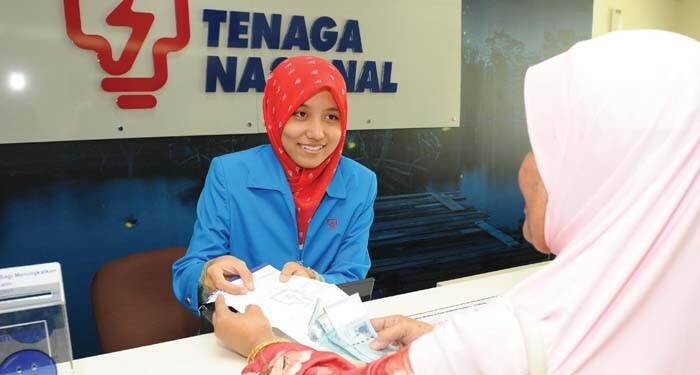 Pay at TNB’s customer service centers, the Kedai Tenaga. We are pleased to inform that our customers can now pay their electricity and water bill (Perbadanan Air Terengganu & Perbadanan Air Pulau Pinang) using the Payment Kiosks located at our selected Kedai Tenaga. Please click here to view the selected Kedai Tenaga with TNB Payment Kiosk. Logon to internet or mobile banking and pay through JomPAY. Pay at One Stop Centers such as the Post Office or Telekom Malaysia. TNB’s Auto-Pay Payment Facility is an electricity bill payment method, which will debit your credit card automatically every month, based on the total electricity bill amount. Download and Print the AutoPay form. Click here to download. Please allow up to 7 working days for processing, you will receive a notification upon successful activation of your Auto Pay sign-up. TNB’s Direct Debit Bill Payment Facility is an electricity bill payment method, which will debit your bank account based on the total of electricity bill amount. Pay your bills at the ATM through participating banks. Pay your bills through selected Cash Deposit Machines. Pay your bills over the counter at participating banks. You can also pay your TNB bills through the Internet via our website of the respective participating banks. You can register at the respective banks through the above websites. Make payments over the phone through selected banks. We are pleased to inform that our customers can now pay their electricity, water and Telekom (TM) bills* using the Payment Kiosks located at our selected Kedai Tenaga. Please click here to view the selected Kedai Tenaga with TNB Payment Kiosk. You can also mail your payment to us, either by cheque or by postal order. Peti Surat 50990, Kuala Lumpur. Pay your bills easily and quickly at selected Payquik Kiosks near you. Introducing to you the PayQuik kiosks for your electricity bills payment. You can now pay your electricity bills* at the PayQuik kiosks available at selected locations at your convenience.